The 2 record set is the Grammy® Award winning Rock and Roll Hall of Fame inductee’ s first studio album since 2008’ s multi-platinum Death Magnetic. Hardwired…To Self-Destruct is produced by Greg Fidelman, who engineered and mixed Death Magnetic. Metallica formed in 1981 by drummer Lars Ulrich and guitarist and vocalist James Hetfield and has become one of the most influential and commercially successful rock bands in history, having sold 110 million albums worldwide while playing to millions of fans on literally all seven continents. They have scored several multi-platinum albums, including 1991's Metallica (commonly referred to as The Black Album), with sales of nearly 17 million copies in the United States alone, making it the best-selling album in the history of Soundscan. Metallica has also garnered numerous awards and accolades, including nine Grammy Awards, two American Music Awards, and multiple MTV Video Music Awards, and were inducted into the Rock and Roll Hall of Fame and Museum in 2009. In December 2013, Metallica made history when they performed a rare concert in Antarctica, becoming the first act to ever play all seven continents all within a year, and earning themselves a spot in the Guinness Book of World Records. 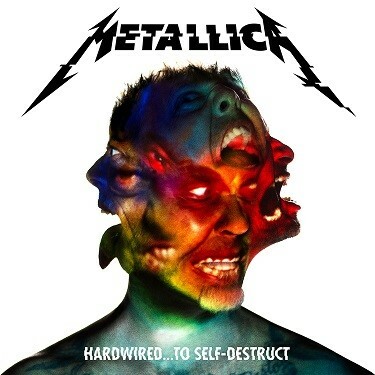 “Hardwired,” the first track to be released from the forthcoming album was played for the first time during a live remote broadcast from Metallica’s HQ in the Bay Area. During an interview with Minneapolis rock station 93X discussing the band’s performance at U.S. Bank Stadium on August 20th, Lars Ulrich stunned 93X’s Pablo by unleashing the incendiary song for the first time, much to the surprise (and delight) of the station, as well as fans around the world.